Well, this week I didn’t finish any ARCs. I’m still working on The Scorpion Rules, which I will finish by Monday night, and reading the sections of The Road to Atlantis for the book club. I will also start at least one of the books I had planned to start last week. I’m looking at 6+ hours of travelling on Wednesday so that should mean I put a good dent in it. Somewhat related, yesterday I received a whole wack of ARCs from the amazing IndigoTeen ladies who were out at Yonge and Dundas Square. Instead of writing them all out, here’s a super edited pic (many effects because I was stalling to get out of bed this morning). 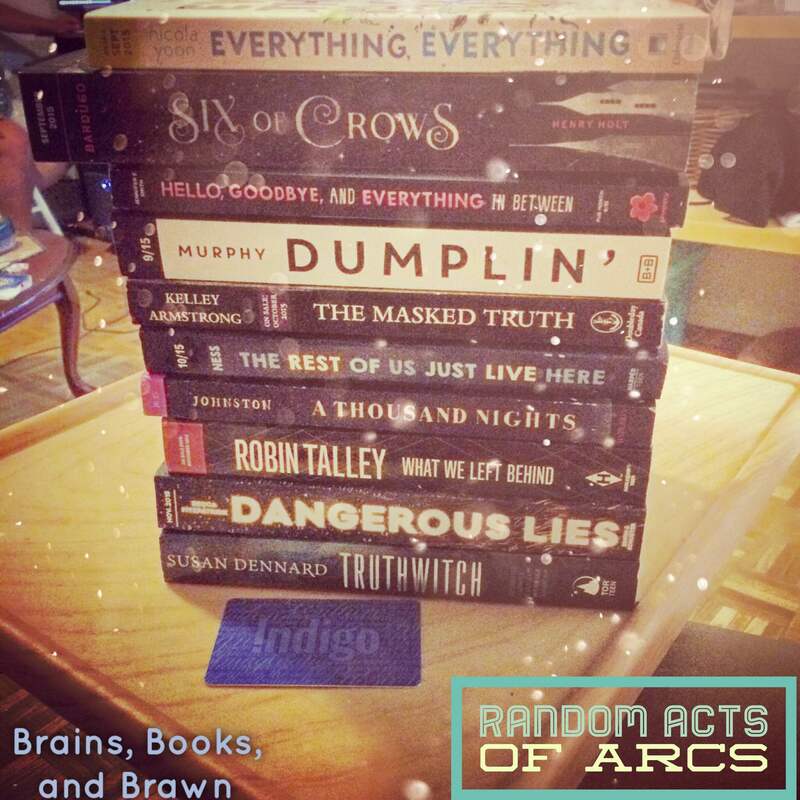 I loved how The Candid Cover called it “Random Acts of ARCs” when I tweeted about it. So that was my week in ARCland. Here’s hoping I’m more productive next week.